This film, and DC's cinematic universe faces an uphill battle. Other than Christopher Nolan's mega popular Batman trilogy, DC's cinematic offerings in recent memory have been met with mixed reaction, most notably Zack Snyder's 2013 film "Man of Steel." Worse yet, they're being constantly compared to Marvel's cinematic outings, who for the most part are quite well received. The over-the-top destruction "Man of Steel" concluded that film left most viewers feeling a little let down, and even became something of a punchline in superhero film discussions. Superman is after all a hero who supposedly wanted to protect humanity despite demolishing a large portion of the city he was meant to preserve. The previous teaser was a somewhat confusing trailer. It basically announced, with small portions of footage from the film, that there would be a film titled "Batman V Superman" without expressing why they would be at odds. For the non-comic reader the instant reaction would have to be confusion. Aren't they both good guys? That's where this newer trailer helps out. A lot. Having been in Metropolis to witness the destruction at the end of "Man of Steel," Bruce Wayne (now played by Ben Affleck) is rightfully angry at the death toll, which includes those working in his own Wayne Tower in Metropolis. Having seen this, we can now more naturally understand why the two would be at odds in this film. However, the next hurdle is in understanding just how Batman (a mere mortal) stands a chance in one on one combat with Superman. We see him in a new suit of armor that looks very thick, and there's a clear shot of Kryptonite as well. Nevertheless it's still hard to imagine that battle lasting very long, and even harder to imagine (without prior knowledge of the comics) how Wonder Woman (Gal Gadot) and Aquaman (Jason Momoa) will factor into things. The guesses, for now, are that Lex Luthor creates the powerful villain Doomsday, requiring Batman and Superman to put aside their differences in favor of dealing with this new threat. All of this, of course, leads to The Justice League. That leads me to one of the problems I have with DC's current strategy. In an attempt to keep up with Marvel, lest they allow cinema goers to lose their taste for superhero films, they seem to be trying to pump films out quickly, at least if the rumored release dates are to be believed. Marvel fans have already received a number of solo hero films, and a taste of them all coordinating their efforts in one film. DC, on the other hand, has made one Superman film, and now jumps into a film that combines numerous characters (including a semi-rebooted Batman). Most of us were left without a good sense of the new Superman, Lois Lane, or the dynamic between the two and the city they reside in. However, they're now bound to receive less screen time while introducing Wonder Woman, Aquaman, and a new Batman. We aren't due to get solo films for Wonder Woman and Aquaman until 2017 and 2018 respectively. Batman is planned to receive his own new solo film starring Affleck in the fairly near future as well. And of course DC has many other characters to shuffle around in their deck. It all seems a bit overwhelming for DC, who already doesn't have a great track record. And Zack Snyder, who seems the lead director/producer on these initial projects, doesn't have the fan and critical acclaim of Joss Whedon (and some of the other Marvel film directors). It all begs the question of whether or not we'll have the same level of appreciation for these characters in a group film that we had for the characters in the first Avengers film. All this is certainly concerning for fans of DC's comic book universe, but it isn't to say their strategy won't work. There are plenty of directors that would love to work within these huge franchises, and intriguing directors like David Ayers and Ben Affleck are already involved. But what of the casting choices? So far they seem a bit at odds. They've clearly gone after a young actor in Jesse Eisenberg, who had played Mark Zuckerberg in "The Social Network," for their re-imagining of the Lex Luthor character as a young Zuckerberg-esque success story that eventually goes wrong. However, at odds with this young re-imagining is the casting of Ben Affleck to play an older version of Batman. It makes me wonder just how tied, if at all, this new Batman will be to the Batman created by Christopher Nolan and Christian Bale. While the casting of Affleck was met with mixed reception, the trailer does, I think, put my concerns for the choice at ease. Only time will tell, but for now I'm willing to change my negative initial response to one of "wait and see." More concerning now, I fear, is the casting of Jesse Eisenberg as Lex Luthor. Eisenberg is likely the youngest to take on the role, and likely the least physically imposing as well. His few appearances in the trailer seem strange enough to suggest that they might make the character a rich genius turned psychopath. Perhaps a more rich, but less insane version of the Joker. However his strange line reading of "the red capes are coming," is weird and hard to know exactly what to make of. I like Eisenberg as an actor quite a bit, so that's another casting choice that I'll label as, "wait and see" for the time being. Gal Gadot as Wonder Woman doesn't have any lines in the trailer, but successfully looks the part, but Jason Momoa's Aquaman doesn't appear in the trailer at all. "Suicide Squad," another fairly recent trailer, is full of DC characters, but looks essentially like a dark, far more serious version of Marvel's "Guadians of the Galaxy" with an appearance by the Joker (Jared Letto). How these films will tie into each other we will have to wait and see, but these films inevitably lead into the two Justice League films, set for 2017 and 2019 respectively. So again, all these characters are due to suit up together in group films without the proper set up of solo films (except for Superman and perhaps Wonder Woman). It's a different strategy than what Marvel has done, and while I'm not one to say they should stick to the same strategy, it does seem concerning. I think the "Batman V Superman" trailer has left me more intrigued than I was after the teaser, but I'm not sure whether they can do their due diligence with these characters by throwing them together so suddenly. 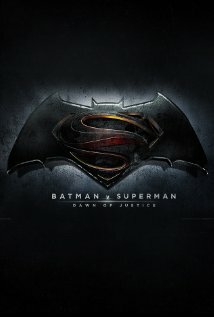 Batman V Superman: Dawn of Justice is set for a March 2016 release, but in the meantime, YouTuber Mr Sunday Movies put together an interesting video detailing several things you might have missed during the trailer. It does give a better sense of what all is going on in this packed trailer.